So hear we are in the middle of the rainiest and windiest winter that I can remember and every night recently it seems the hammering of rain on Gladys’s roof awakes me. It makes me anxious as I forgot to survey the rubber roof for leaks before the winter and I’m not physically able right now to get up there and take a look let alone fix any possible holes in the rubber. I know that the heavy winds have partially lifted the TV Ariel fixings and there is a very slight drip occasionally from the operating handle fixed to the ceiling inside – a well, it will have to wait for a wee while. So as you know, we lost poor old Laddie, the noblest and most gentle dog I have known, a collie, and a true friend. As I think about him I can’t help but well up with tears at the loss of such a lovely chap. 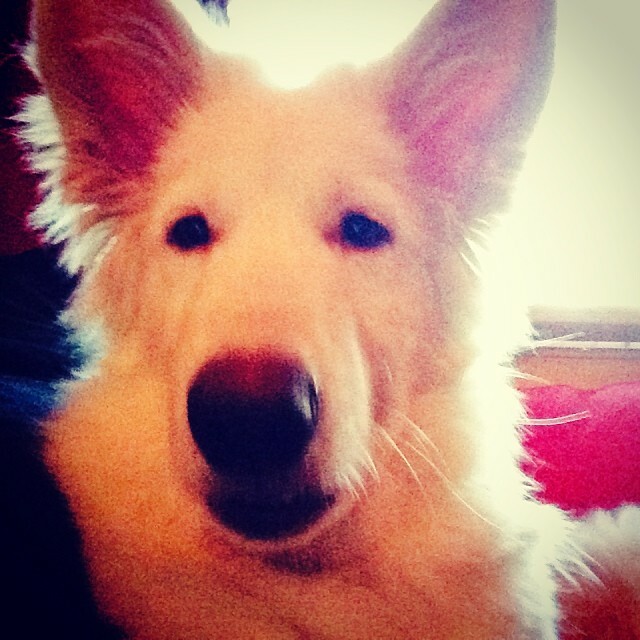 And as you will know from the previous post from Rebekah, we have a new doggie called Archibald Sebastian Rhind, a white Shepherd, Archie for short. It brings me in mind of when, many years ago now, when I was just a young fella and my then wife Sue was expecting our second child (my Son Alexander); we already had Hannah, my first beautiful daughter. I loved Hannah so much and I often worried, if I loved this child with all my heart, how could I possibly love another child. Well, as all you parents will know, you love each child as much as the other only in a different way. When my third child Holly came, it was the same again; I loved her with all my heart to but in yet another way. So, maybe it isn’t about me as a parent at all, maybe it is about what each child, a wonderful gift from God, brought to me: Hannah arrived and brought my Heart, Alexander arrived and brought my Spirit and Holy arrived and brought my Joy, each child filling a hole inside of me with their unconditional love. Without them I am not at all sure where I would be nor what I would be like now. 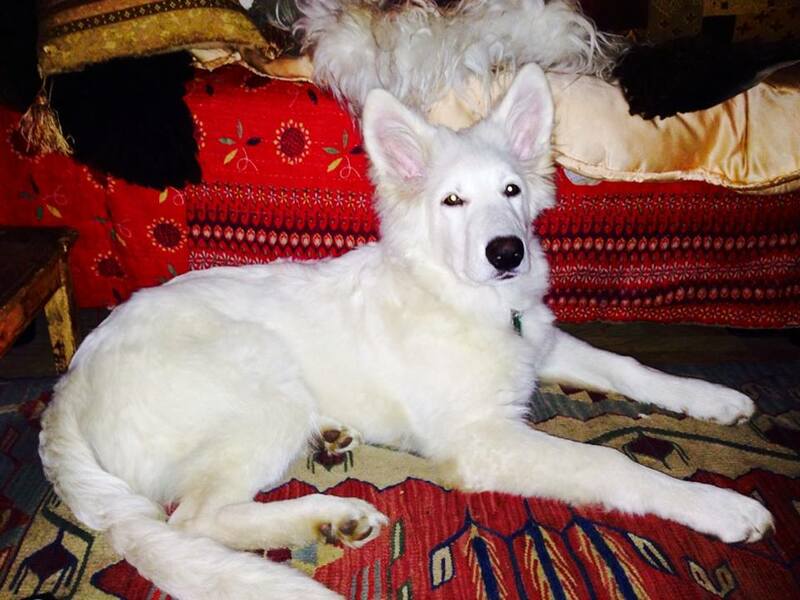 Which brings me to young Archie, a beautiful white Angel Wolf as my daughter Hannah calls him. Archie has certainly brought us gifts from the Universe, each of us, Rebekah and I, in our own way feeling somehow more than, with the arrival of Archie. I can’t speak for Rebekah, although she often says that she “hearts” him and I know that almost immediately she adored the wee dog, but for me he seems to have brought a new lease of life at a time when I felt myself floundering somewhat. I have noticed that I feel a great deal of love for him and I am grateful that he is here with me. 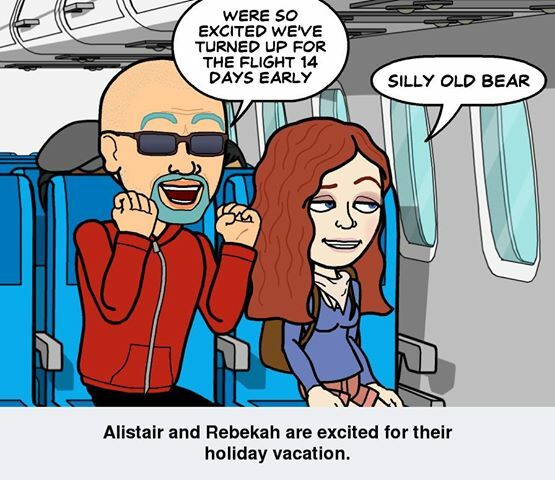 Rebekah is very busy these days what with earning our living, saving secretly for surprise holidays, working on her Naturopathic Nutrition Diploma, taking care of me and running her mum up and down to see her dad in a different old folks home and all the other things a person does. Which leaves me and Archie and our daily routine of playtime and walks and being together like best pals. It occurred to me the other day whilst Archie and me were hiking through the forest, he trotting firmly behind my heel and occasionally playfully nipping my hand as we walked, that he had come to help me with my healing from Cancer. I have felt kind of alone with it recently and have had moments when the enormity of it all looms large above my head and threatens to bring me down. But I’m thinking that young Archie knows what’s going on and his presence and companionship is spurring me on to fill my lungs with oxygen and my spirit with hope and renewed strength and determination. Archie is an Angel right enough, but he has his naughtiness as well. He loves to steal stuff, usually pants and socks given just half a chance and he has a knack of pinching tissues from the box when nobody is looking; he stole my lunch while Rebekah was making it today at lunchtime. Even at just around 5 months he is so tall he reached his neck up and snatched my roll and cheese that was innocently awaiting some egg and tomato, and ran off with it. Well, we kind of think that its an endearing trait although I know that some of you will think that we are making a rod for our own backs. 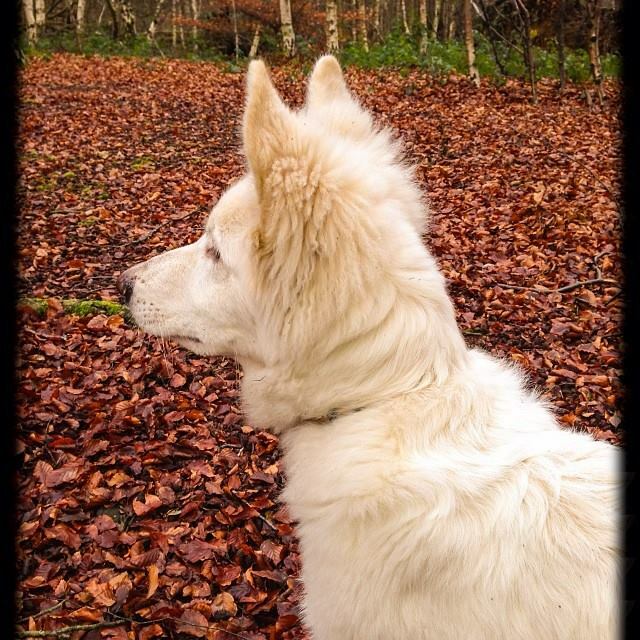 But despite Archie’s little naughtinesses, I am grateful for his presence in my life and hope to have many more long walks through the woods with Archie the Angel Wolf Dog. In just a few days we are flying off to India for two weeks in Kerala. We are 5 days in Lighthouse beach Kovalom, two days in Amritapuri, the ashram of Amma — Sri Mata Amritanandamayi Devi, then on for the last week in an Ayervedic centre further down the coast.